It is estimated that several million American children have ADD & ADHD which includes symptoms of inattention, impulsivity, and hyperactivity. There are several prescription drugs available to control the symptoms of ADD & ADHD. Research over the past 30 years by holistic M.D., Dr. Terry Friedmann has found that essential oils by inhalation have helped ADHD children. Essential oils are some of the few substances which cross the blood-brain barrier and can directly heal the brain. Focus Essential Oil Blend contains a proprietary blend of vetiver, french lavender, cedarwood, ylang ylang, patchouli cablin, tangerine, lemon, ginger root, sandalwood, nutmeg, melissa, frankincense, and cinnamon leaf. Focus Essential Oil Blend is packaged in a concentrate for diffusing, roll on (already diluted and ready to apply to the skin), spray (spray in the room or directly on the person). Avoid use on hypersensitive, diseased or damaged skin, children under 6 years of age. *These products and the statements used to describe them have not been evaluated by the FDA and are not intended to diagnose, treat or cure any medical conditions. Please contact your primary healthcare provider before using these products to treat any medical conditions. Essential oils are for external use only and should be kept out of the reach of children and pets. Grounding Essential Oil Blend is helpful for emotional steadiness. Available in a concentrate for diffusing, roll on (already diluted and ready to apply to the skin) or spray (spray in the room or directly on the person). Do not use if pregnant, have epilepsy, or have high blood pressure. Can be a mild skin irritant for those who are allergy prone. Great for studying! Contains Rosemary and other essential oils shown to improve memory and concentration. Diffuse the concentrate while studying. Great for burning in an aroma lamp. Available in a roll on and spray. Not for children under 6 years of age or the elderly. Avoid sunlight after applying to skin (slightly phototoxic).. If you have health problems (high blood pressure, epileptic, acute urinary tract disease) consult your physician before use. *Memory Essential Oil Blend is not intended to diagnose, treat, mitigate, or prevent any disease. Statements have not been evaluated by the FDA. “I got this for my 4 year old son that could run circles around the energizer bunny. If his mind and body aren’t kept busy and challenged, he goes stir crazy. He was having a difficult time in aftercare because of just that problem. I was literally in tears because I didn’t know what else to do. So…I started to search for natural remedies to help him out and I came across this essential oil blend. I went on www.nih.gov as well as researched many scholarly articles regarding the clinical trials done on various essential oils and their efficacy. 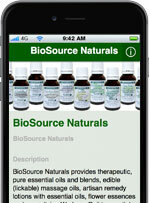 Every claim listed by Bio Source Naturals is actually true. I tried it out on my son yesterday, which was a great way for me to see exactly how well it did or didn’t work because he stayed at home with me. I was amazed and shocked at how good this worked to help him focus and tapper down that abundant energy of his. This morning, as I sent him to school, I applied some more and hoped for the best. When I picked him up, two of the teachers commented at how good he was today. He truly had a remarkable day, which hasn’t happened since he started school. I was skeptical buying this because I swore there was nothing in the world that could tame the fire within my little man. Needless to say, after verifying the claims listed on here with some research, I gave it a try. I couldn’t be happier with the results. Definitely plan on buying this again! Thank you Bio Source Naturals!” – L.
“This product (Focus) has helped my 5 year old and myself…thank you for selling such a great product. Unfortunately our last bottle broke so we did not get to use the full product…however a few weeks of this product has shown us how well it works. Thank you!” Michelle L.
“This stuff smells wonderful… and if it smells good it’s more likely to be worn for the purpose it serves. :)” S.R. Reviews and testimonials reflect the individual reviewer’s results only. Product results may vary based on the user and no guarantee of results are implied. In past research it was found that the use of one oil aromatically 3 times per day for a month was very healing and beneficial. It is thought that the inhalation of the essential oils settled the children’s brain waves back to normal patterns and thereby improved scholastic performance and behavioral patterns of ADD Attention Deficit. Lavender increased performance by 53% of ADD Attention Deficit and ADHD. Cedarwood increased performance by 83%. Vetiver essential oil increased performance by 100%. Massaging vetiver on the bottom of 2 big toes which are the brain reflexology points is recommended to help control impulses for ADHD Attention Deficit Hyperactivity Disorder. In brain scans, vetiver was found to be the most effective showing improvements in 100% of subjects. Cedarwood essential oil was 83% effective, and lavender 60%. Diffuse one oil at a time per month, adding 10-12 drops per diffuser (3 times per day). Vetiver: Add 1-2 drops of vetiver essential oil with 8-9 drops of carrier oil and massage into big toes. Lavender essential oil: Massage 2 drops of lavender with 8 drops of carrier oil on the child’s feet, shoulders or chest. This can help them relax and sleep more easily. Lavender is not only an essential oil which is calming but also an energy balancer. Cedarwood essential oil: Cedarwood is considered a holy healing oils in the Christian tradition. It is high in sesquiterpenes, the chemical compounds which stimulate brain function and mental synergy. This oil can be applied on the forehead and neck, inhaled, and massaged on the brain stem at the base of the skull. Remember to skin patch test first on the inside of the arm before using. Also cut the essential oil with a carrier oil such as sweet almond oil-about 2 drops of cedarwood essential oil to 8 drops of sweet almond oil. Remove from the diet, sugar, artificial sweeteners, processed foods, high fructose corn syrup. Be sure the child is hydrated. Protein at breakfast is important to maintain stable blood sugar levels throughout the day.